We take pride in the quality of the products we sell. 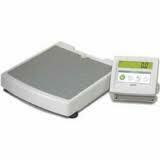 Listed below are a few of the most common bench & floor scales sold by Northwest Scale. For more information on these products or the variety of products available, please contact us or visit ricelake.com.